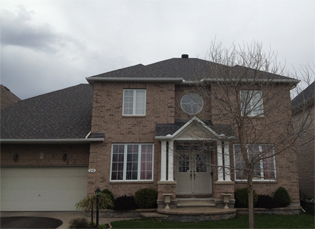 Installation of Canada's leader in fiberglass shingles. Rooftop ice and snow removal. 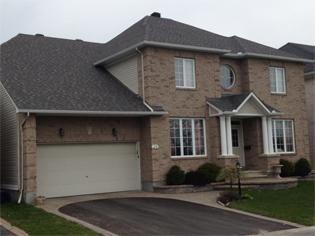 Celebrating 13yrs in business in the Ottawa Area. 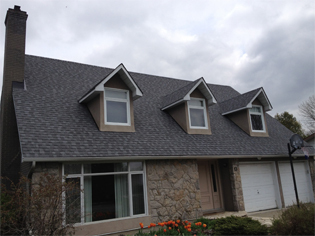 David Tulloch Roofing has you covered! Our team of professionals is fully insured, licensed and have an impeccable standing with the WSIB. All our work is fully covered under both product and workmanship warranties; a commitment that truly shows our confidence and credence in our work. When choosing our company for a FREE estimate, we guarantee a professional and experienced assessment of your needs, an explanation of how we can help and offer you an honest fair quote. 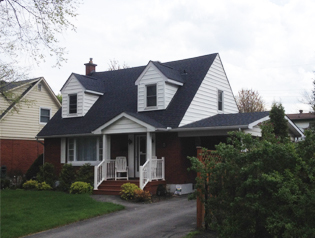 David Tulloch Roofing is a small privately owned business successfully servicing the Ottawa area since 1999. David Tulloch Roofing is an accredited business with the Better Business Bureau. As our advertising consists mainly of word-of-mouth referrals and this website your satisfaction is our number one priority. As such we dedicate our team to each project until its completion and 100% satisfaction. We don’t move on until it is done right! I would like to say Thank You. We invested in a company that believes in quality and craftsmanship, and these days, that's a rare thing. You came with knowledge and integrity and did a professional, clean job with skill and knowledge at a fair price. No one could ask for more from a contractor. We are grateful that you and your crew took such good care to ensure our home and family are housed under a solid piece of craftsmanship. Dave, we would recommend your company to anyone who might be in need of quality service at a fare rate.